The big game is this weekend and there is sure to be gatherings across the nation to enjoy the game and have fun. But what is fun and the big game without grilling hot dogs, hamburgers, or steaks on the propane grill? 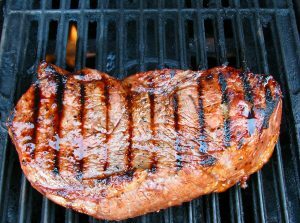 Gathering on the porch in the warmer North Texas climate to grill your favorite food before kick-off should be done with safe grilling tips from your Dallas propane dealer, Northwest Propane. The Propane Education & Research Counsel suggests a few tips for making outdoor meal preparation as easy as 1-2-3. Modeling safe grilling tips for your children and friends during your big game party will help make the meal and gathering a success. Help pick the ingredients while grocery shopping. Suggest appetizers and side dishes to accompany the grilled meal. Measure the ingredients used in the recipe. Get the ingredients from the pantry or the refrigerator. Help carry the ingredients to the grill. Assemble the grilling accessories that will be used while grilling. Hold the plate while grilled items are taken off the grill. Make sure parents follow safe grilling practices. Brush the marinade on grilled items. Help assemble the food (put toppings on burgers, for instance). Put garnishes on finished grilled food. Make sure parents turn off the burners when finished grilling. Clean the food preparation area. Your Dallas TX propane experts want to remind you, safety first, when using propane grills and products. For more information on propane and propane dealers in the Dallas TX area, call 972-247-6121 or visit Northwest Propane online.